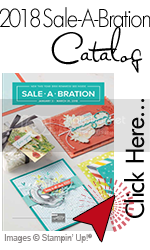 New Storage Solutions from Stampin’ Up! starting today. It’s very exciting to see the new options we have for our inks and markers. You can build it however high you like. Add as many cubes as you need. Basically, there are five pieces that all work together! Customize your unit, add the number of pieces you need, and top it off with a lid or ink refill storage! Stampin’ Up! put together this video to show you the new products in action. Visit my online store here starting today to pick up your new storage solutions. Weekly Deals and Holiday Extravaganza… Are YOU a Happy Shopper?